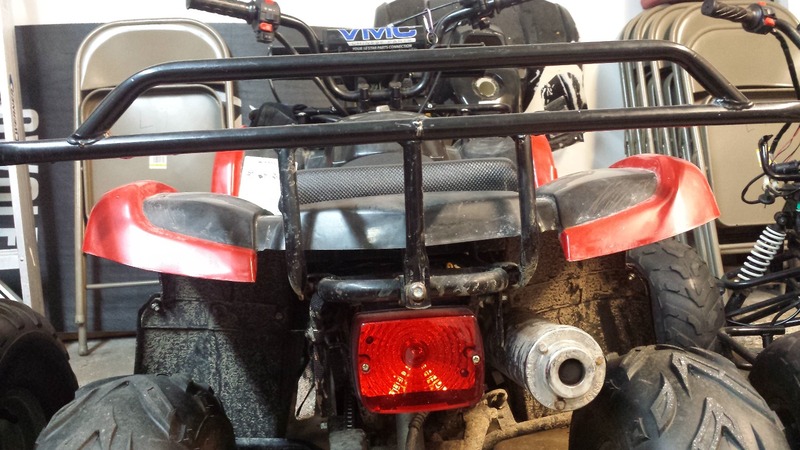 Tail Light for 110cc-250cc ATV - Version 62 - is currently on backorder. You may still purchase now though and we'll ship as soon as more become available. This replacement tail light fits several models of Chinese ATVs including but not limited to Tao Tao. Use the detail pictures and measurements to best match your light. Also used on some go karts. The wiring harness will need to be spliced when using as replacement light for Tao Tao 125. This was known when I purchased the light. Re-used the existing quick connect fitting from the light being replaced.